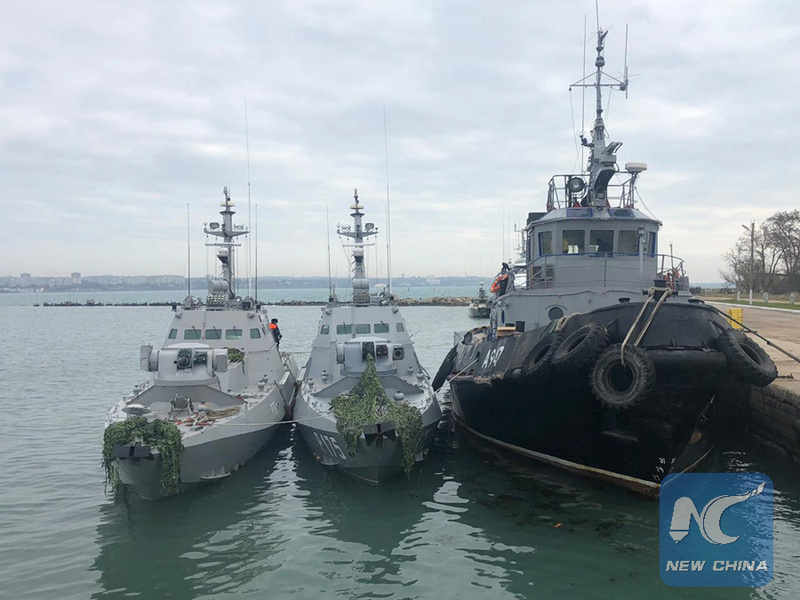 MOSCOW, Jan. 15 (Xinhua) -- Moscow's Lefortovsky District Court on Tuesday extended the pre-trial detention for 12 Ukrainian sailors charged with violating Russian borders in the Kerch Strait until April 24, Russian news outlets reported. On Nov. 25, Russia seized three Ukrainian naval ships and 24 sailors on board attempting to sail through the Kerch Strait from the Black Sea to the Sea of Azov. Moscow accused them of illegally crossing the Russian border, which Kiev denied and urged Moscow to release the captured sailors. The court hearing was reportedly held behind closed doors. It remains unclear for the moment whether the other 12 sailors will submit to the same court ruling. The Russian Security Service (FSB) said in December that the Ukrainian sailors could not be seen as prisoners of war as they were actually faced with criminal charges, and relevant investigation had been forwarded to its central office. Consular access has been granted to all the Ukrainian sailors, who were also provided with lawyers, translators and the right to make phone calls, the FSB said.